These cars were made in Newtownards Co Down with very little changes. The front lights became pop up, the rear lights changed to Vauxhall Chevette lights and the dash from the Ford Fiesta XR2. 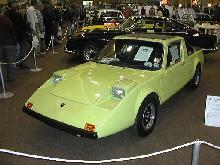 In 1971 an ex-Lotus engineer, Paul Haussauer, developed his own glass-fibre sports-coupe, the Clan Crusader. 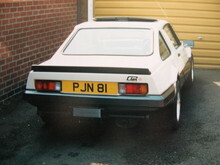 The Clan featured modern "wedge" styling and combined with a light overall weight offered a good all-round sporting package. Sadly the Clan marque fell victim to the mid-1970's fuel crisis and introduction of VAT which killed the pricing structure for its cars. The last Clan emerged from the woks in 1974.